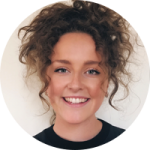 Jasmine studied Theatre Performance Design at Liverpool Institute for Performing Arts, graduating in 2016 with a First Class BA Hons. Through her work she hopes to make bold, abstract statements that play with and challenge traditional notions of what theatre is; Aiming to subvert the audiences expectations whilst simultaneously conveying the narrative of the piece. Since graduating she has worked on a freelance basis assisting different designers based in London, including: Fashion Set Designer Shona Heath and Theatre Designer Andrew Edwards. Her recent design credits include: Hyem (Theatre503), Scene Change Presents: Coming of Age (Liverpool Playhouse Studio), Who's Afraid Of The Working Class? (Unity Theatre), and The Wonderful World of Dissocia (Liverpool Playhouse Studio).